Secretary General of the Democratic Front for the Liberation of Palestine (DFLP), Nayef Hawatmeh, said yesterday that the new Palestinian Authority (PA) government consists only of Fatah members. The government, he told Russian news agency Sputnik, “does not prioritise the interests of our people or the Palestinian issue”. He reiterated that the government “does not consist of the PLO [Palestine Liberation Organisation] factions” and “is not a Palestinian unity government”. At the same time, he said that the “political and social gaps among the Palestinian factions are deep,” noting that decisions taken consensually by the PLO factions have not been implemented. Commenting on the result of the Israeli election, Hawatme said that the situation is “complex” as there are “two big blocs” in the Knesset, stating that despite the differences between them both are “expansionist”. He stated that the visit of newly re-elected Israeli Prime Minister Benjamin Netanyahu to Jordan is a form of normalisation, as is the speech by the Omani foreign minister at the Davos Forum in the Kingdom. 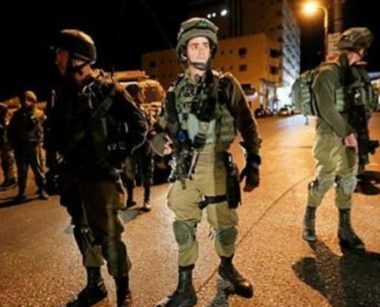 NABLUS, PALESTINOW.COM — Several Israeli army jeeps invaded, Thursday, Sebastia town, north of Nablus in northern West Bank, and caused many Palestinians to suffer the effects of teargas inhalation. 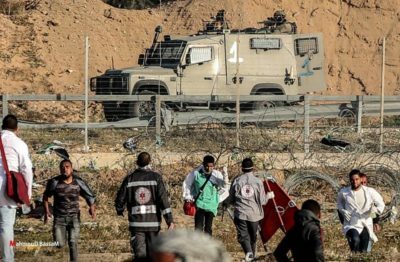 The head of Sebastia Town Council, Mohammad Azem, told the WAFA Palestinian News Agency that the soldiers invaded the archeological area of the town, and forced the Palestinians away. He added that many youngsters protested the invasion, and hurled stones at the soldiers who fired many gas bombs and concussion grenades at them. 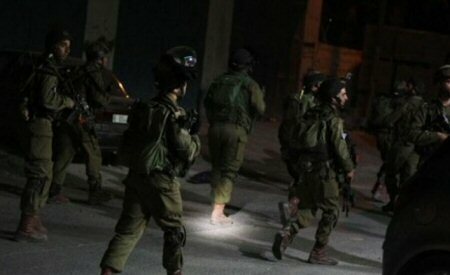 Many Palestinians suffered the effects of teargas inhalation and received the needed treatment by local medics. 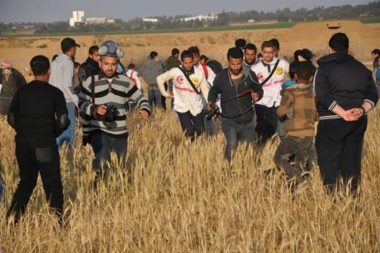 Thousands of Palestinians participated in the 54th protest of the weekly Great Return March protests in on the borders separating Gaza strip from the Palestinian lands, occupied in 1948.